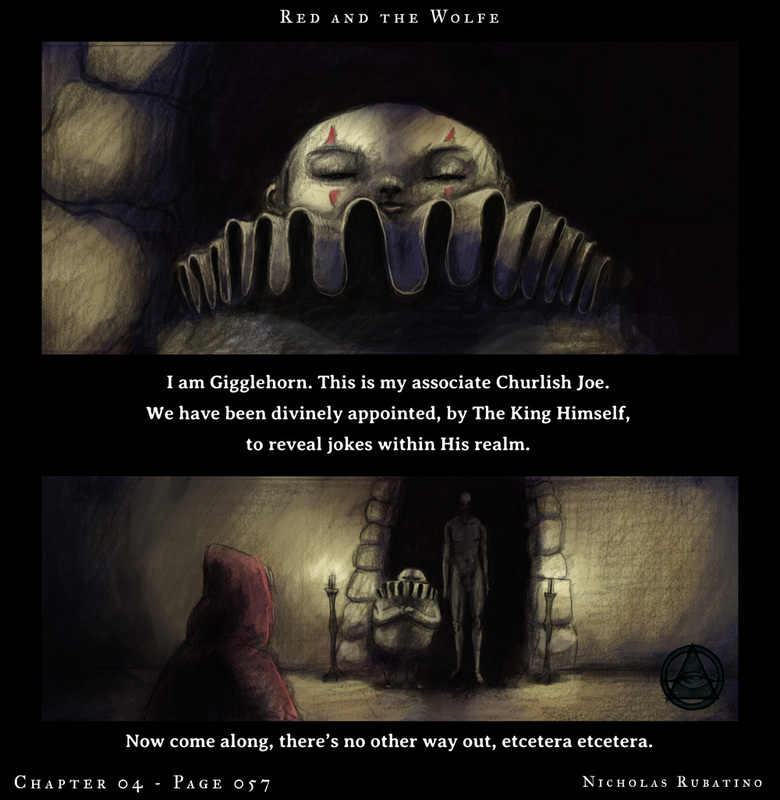 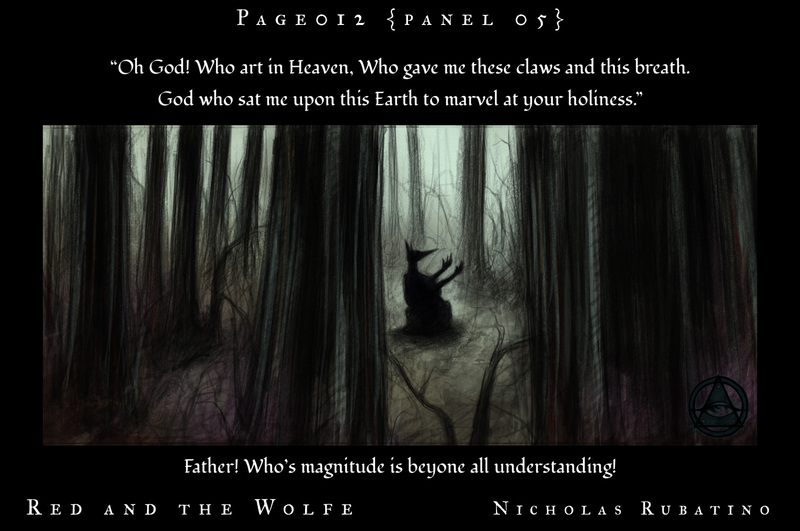 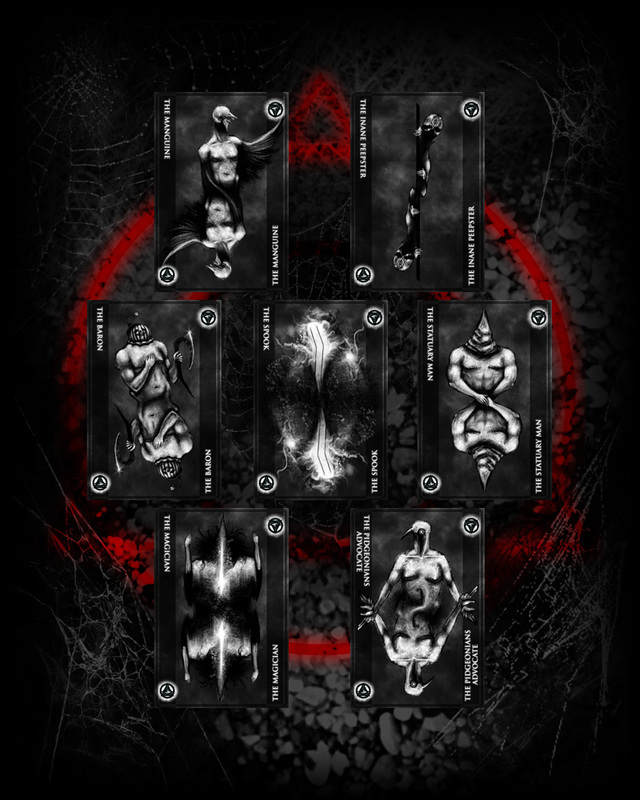 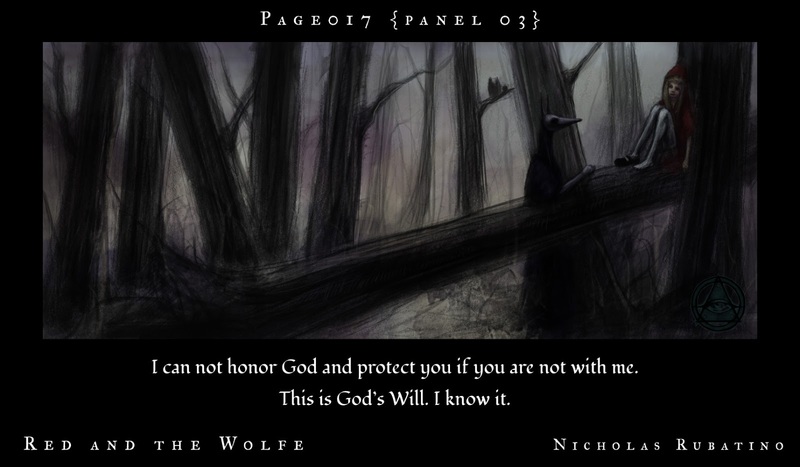 Red and the Wolfe Chapter Two - The Zealot, is released! 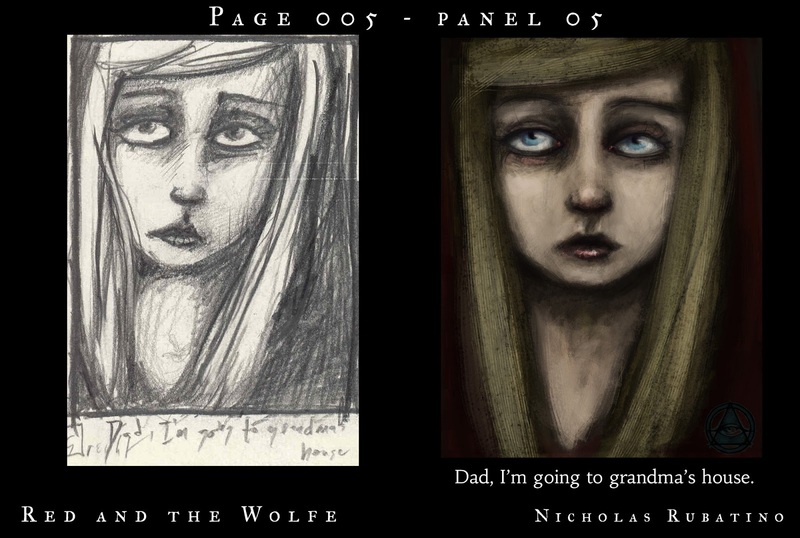 Got notes back from my editors on Chapter 2, submitted it to comixology, and it was accepted two days later! 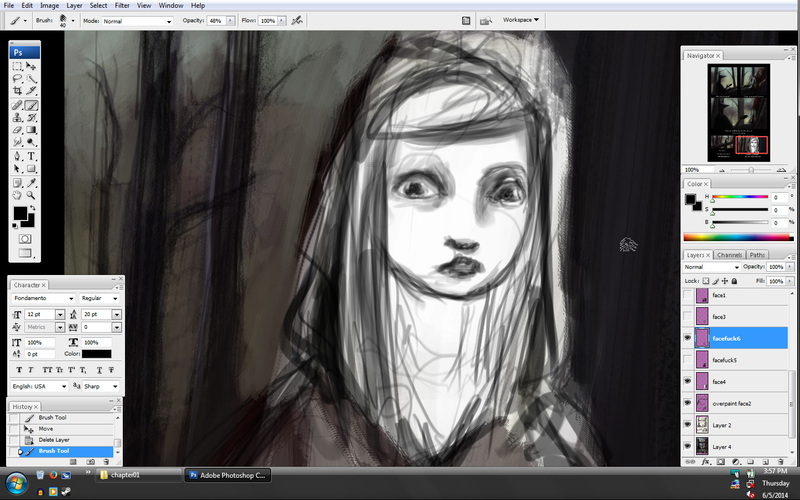 Starting back work on chapter 4 after taking a break to let my hand nerves rest. 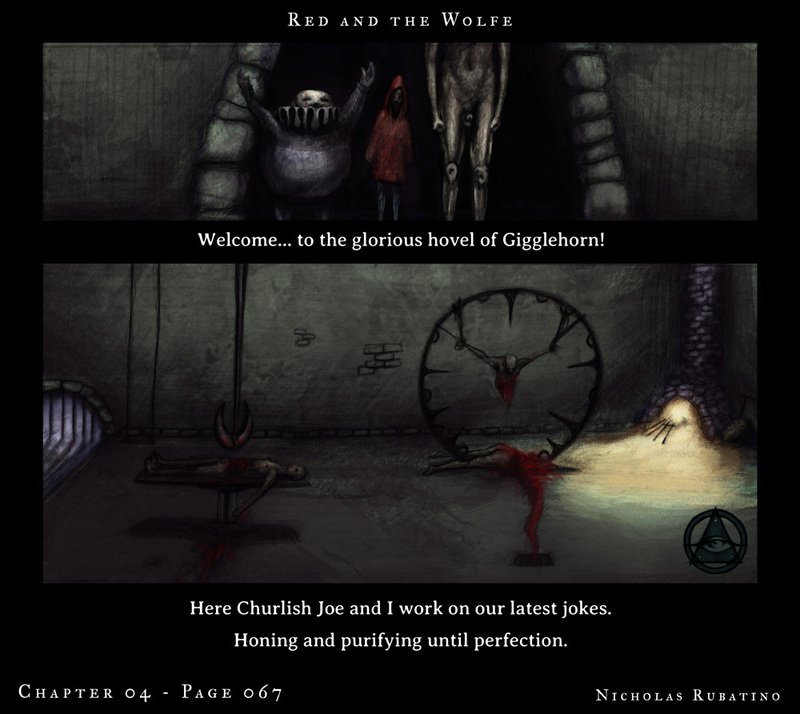 Chapter 4 is where it really gets rolling, and Gigglehorn in introduced. 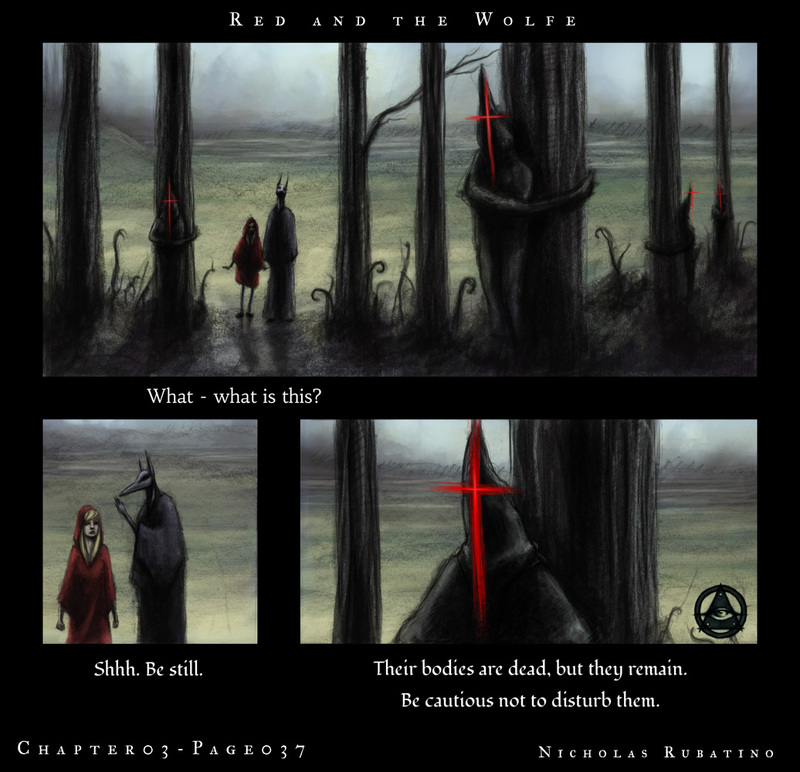 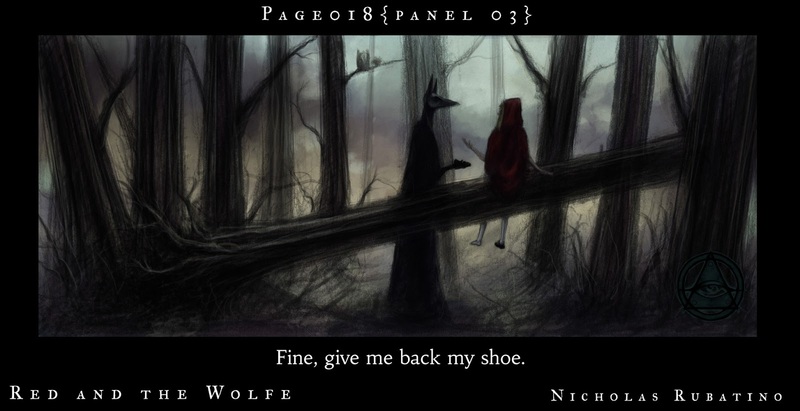 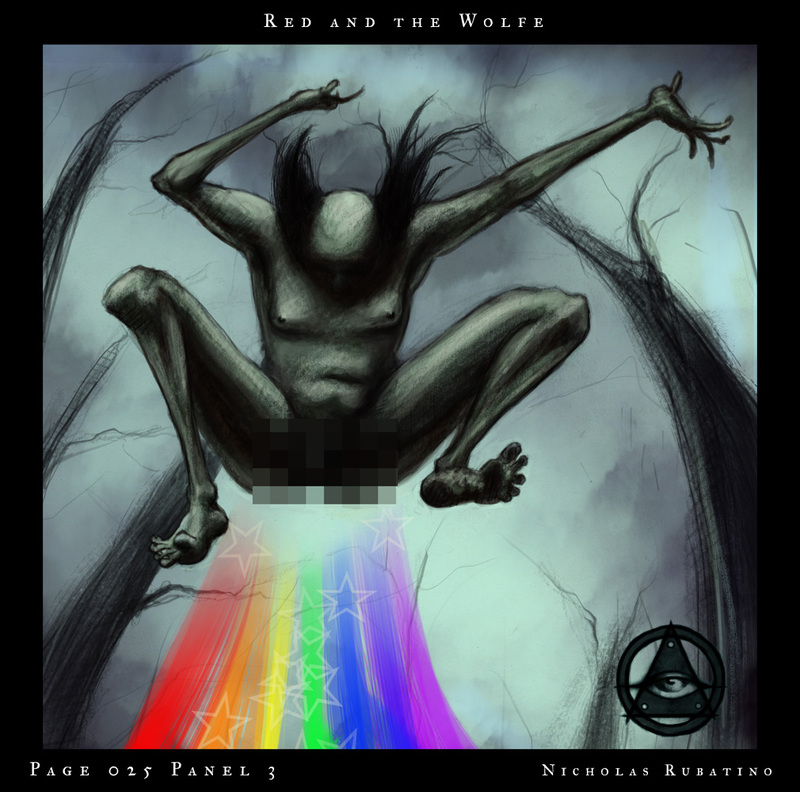 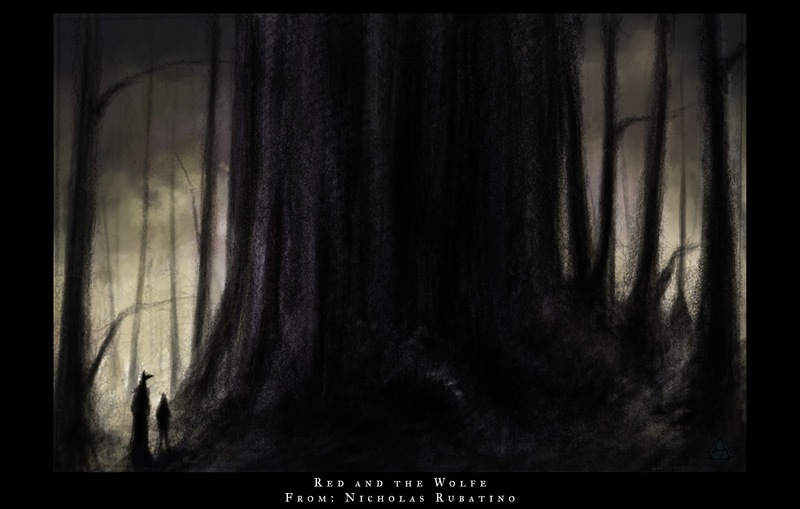 Red and the Wolfe chapter 1 is released! 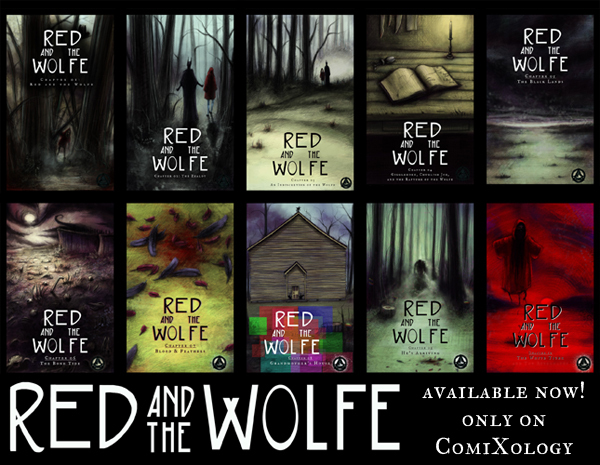 Red and the Wolfe Chapter 1 will be released on ComiXology next week! 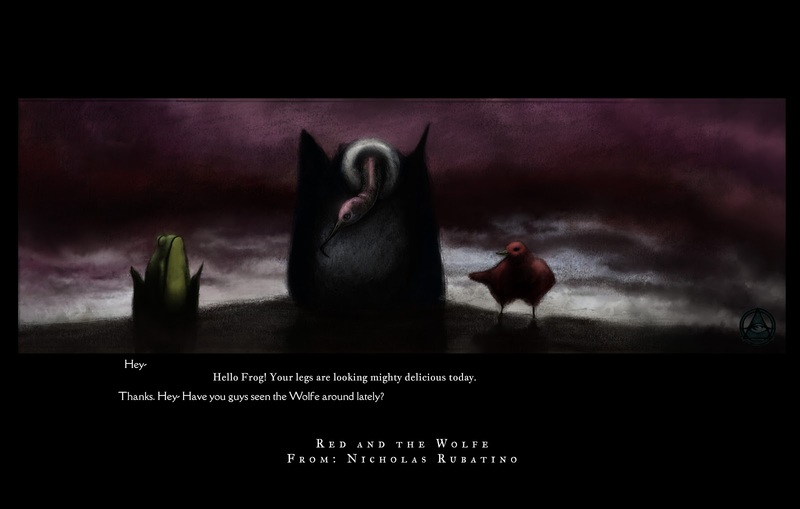 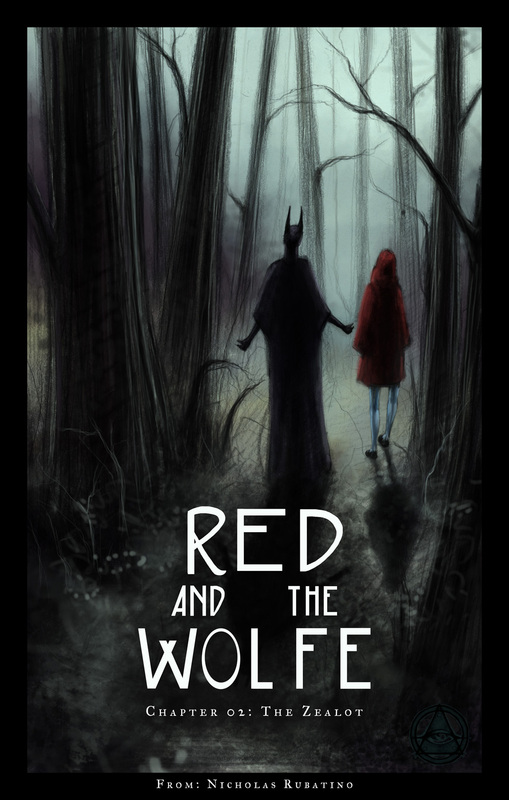 Red and the Wolfe: Prologue, Now Available!! 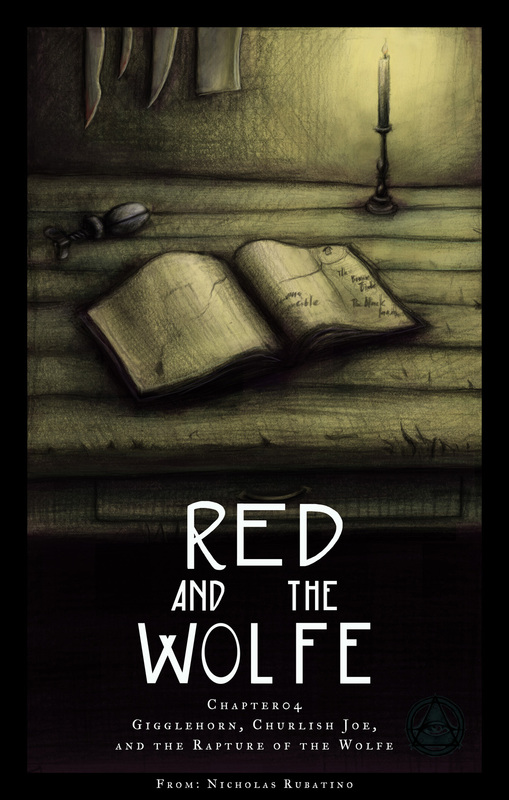 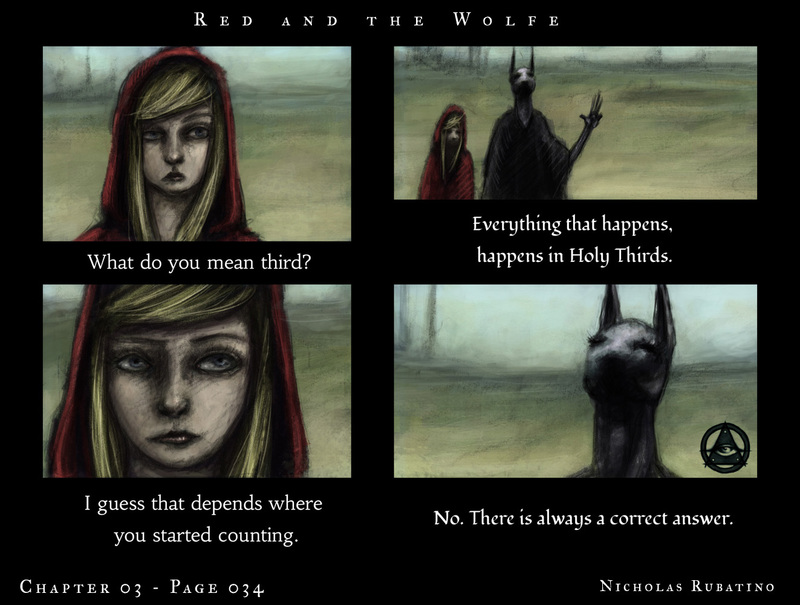 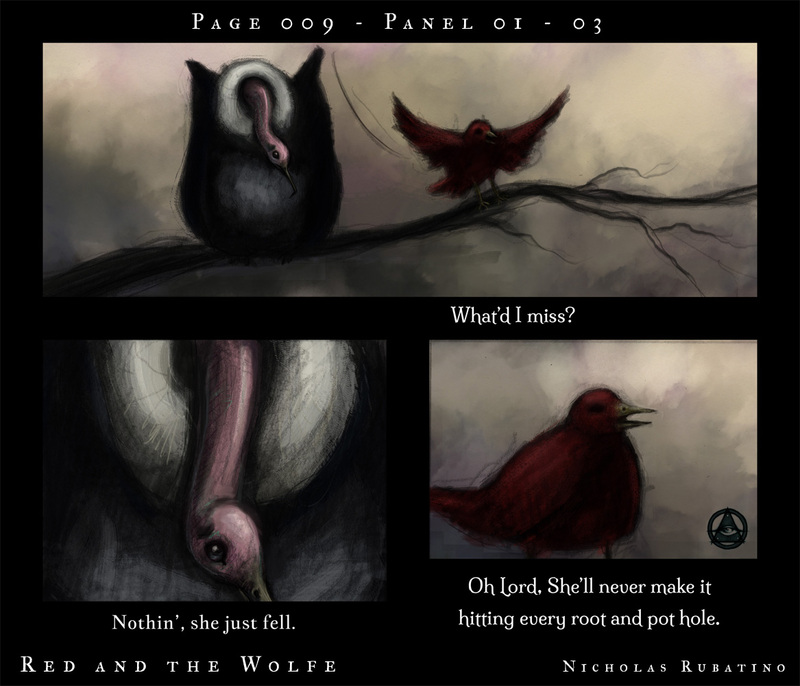 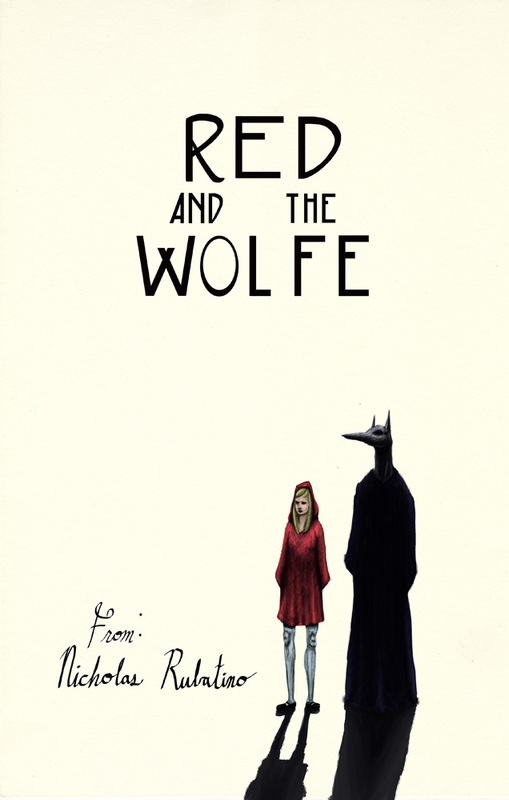 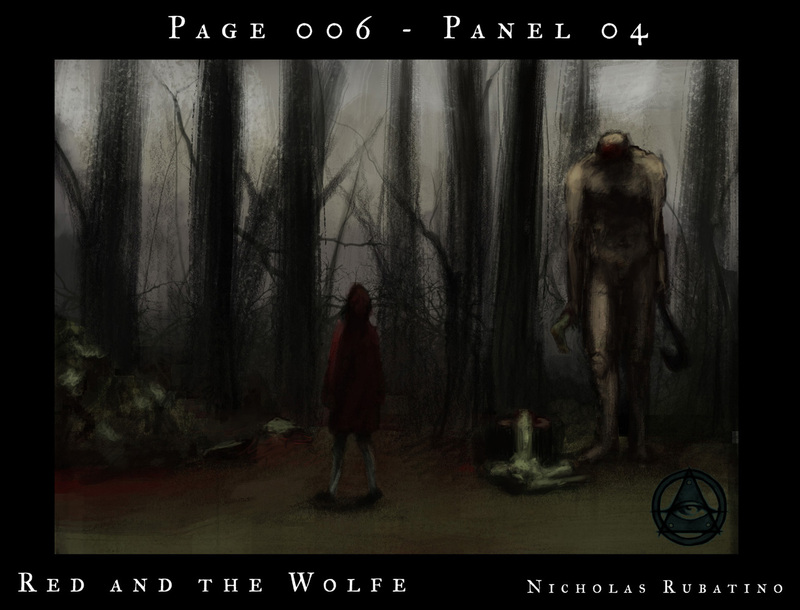 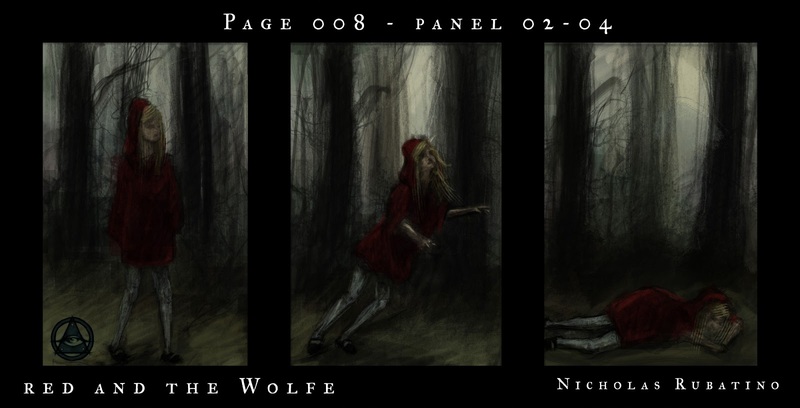 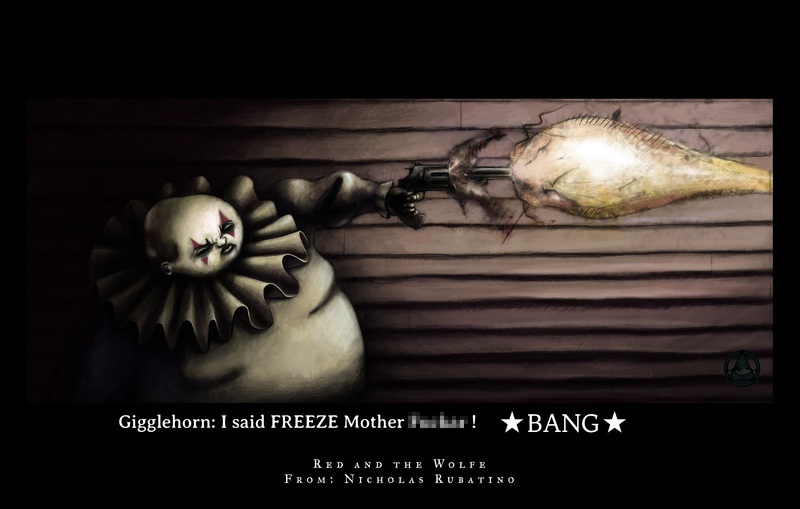 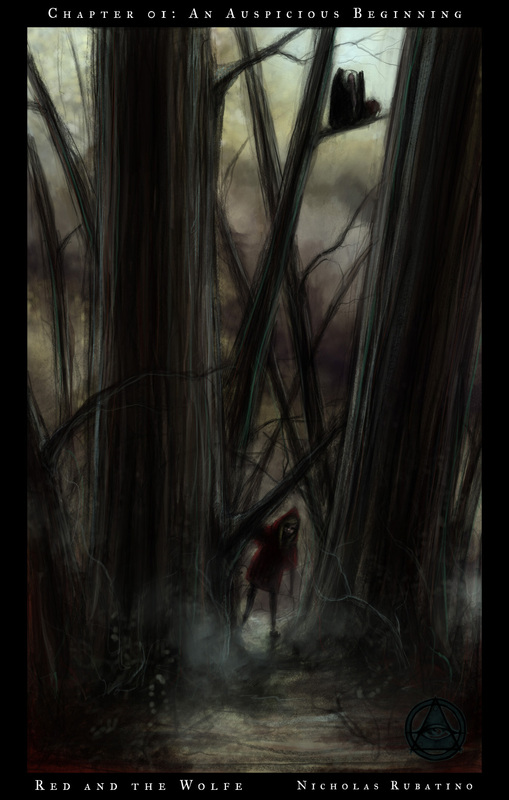 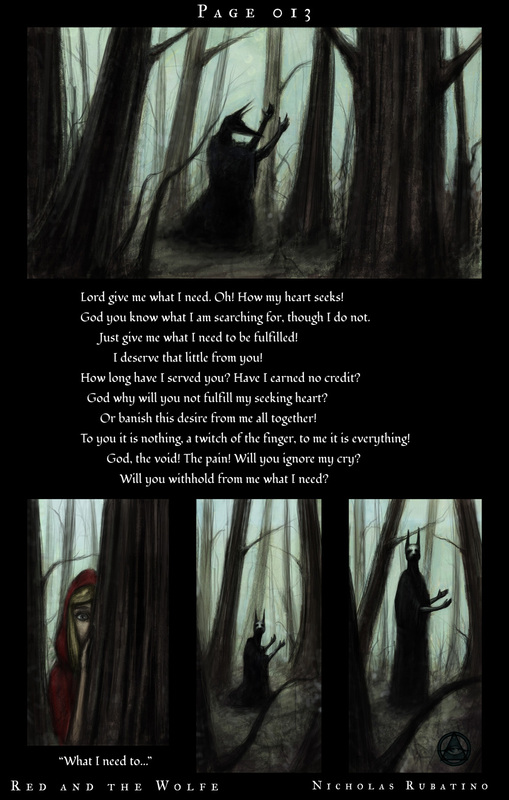 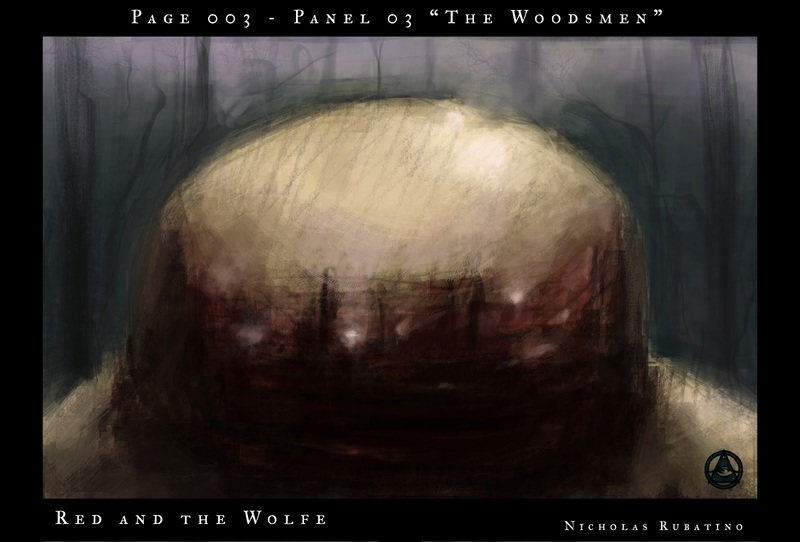 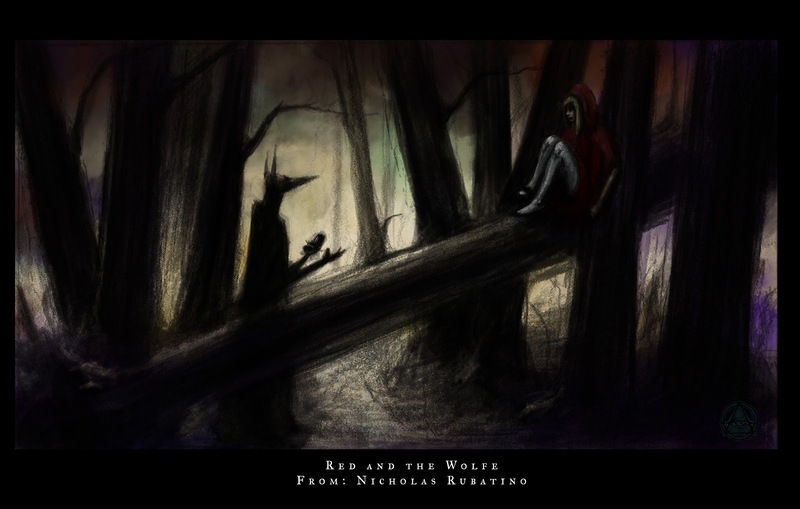 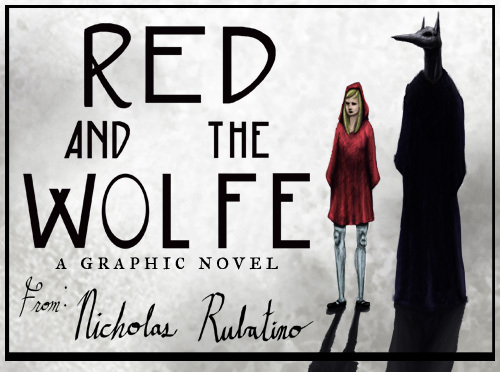 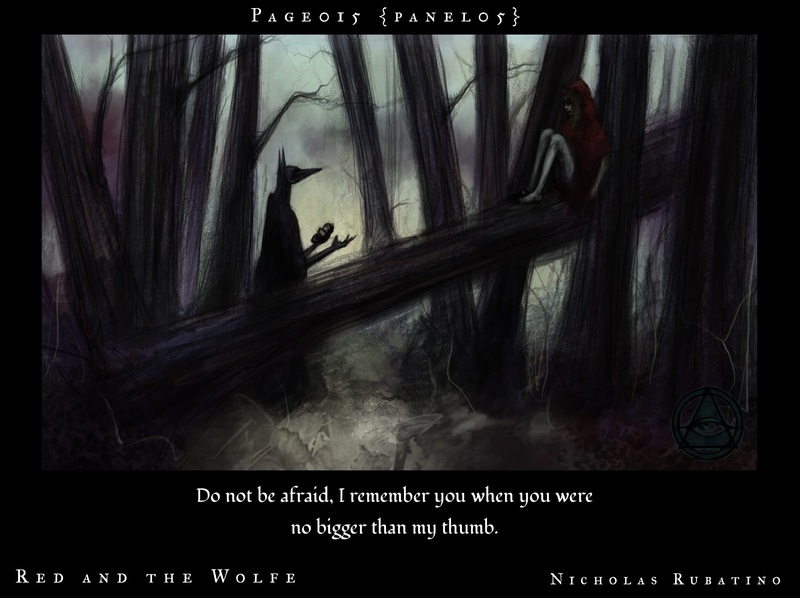 The Prologue of Red and the Wolfe has been released on comixology! 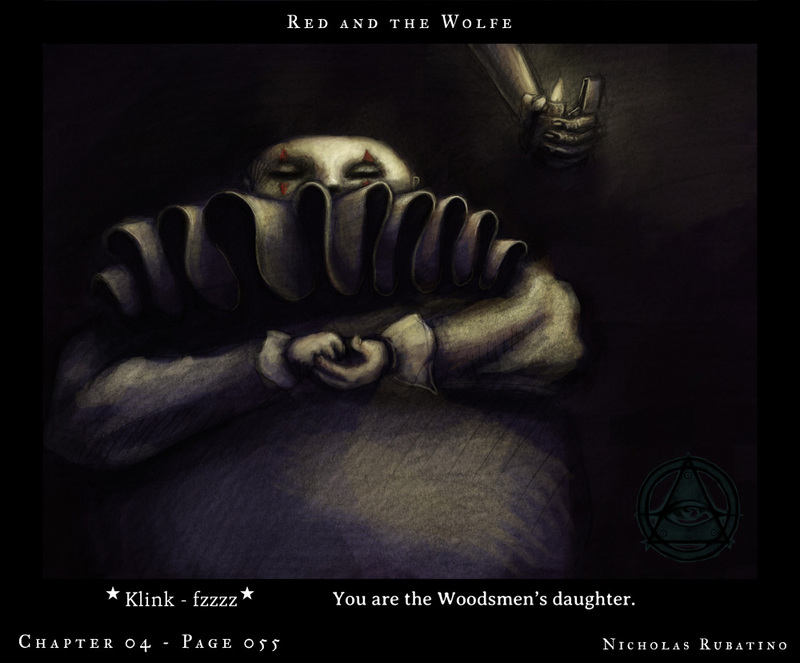 Red and the Wolfe Chapter 2 done! 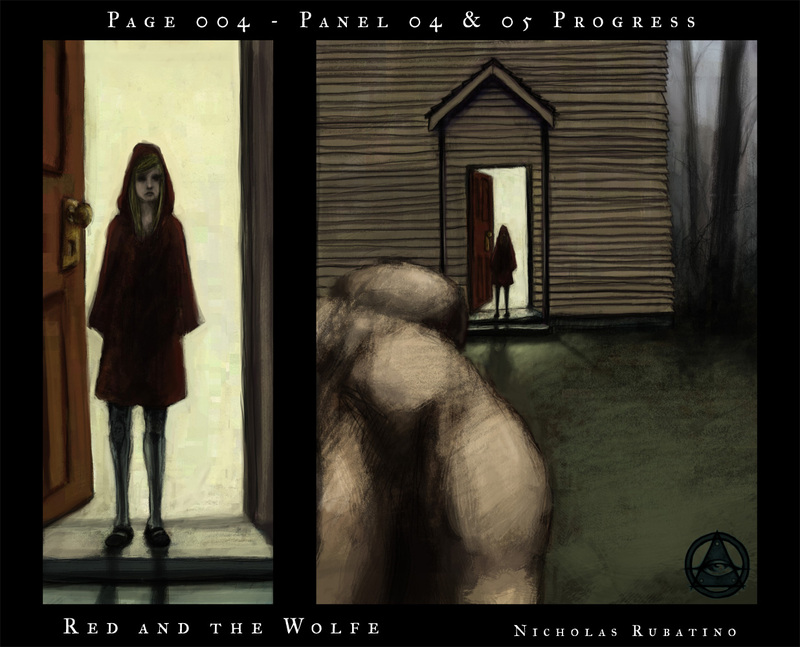 It is submitted! 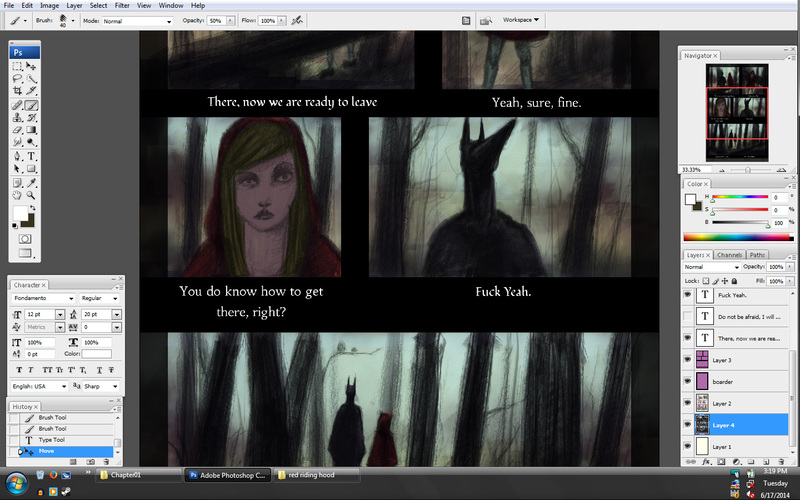 And work on chapter one. 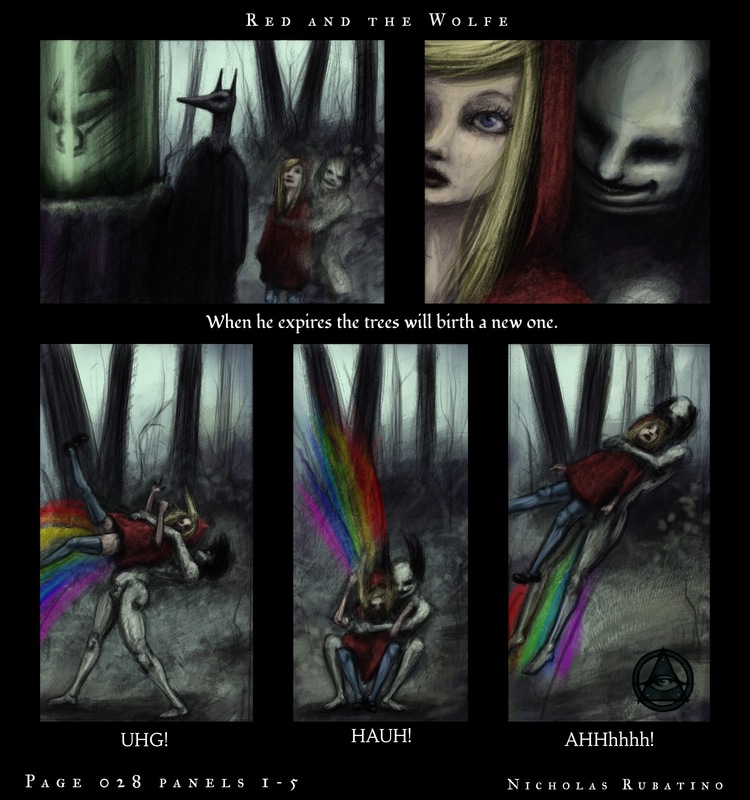 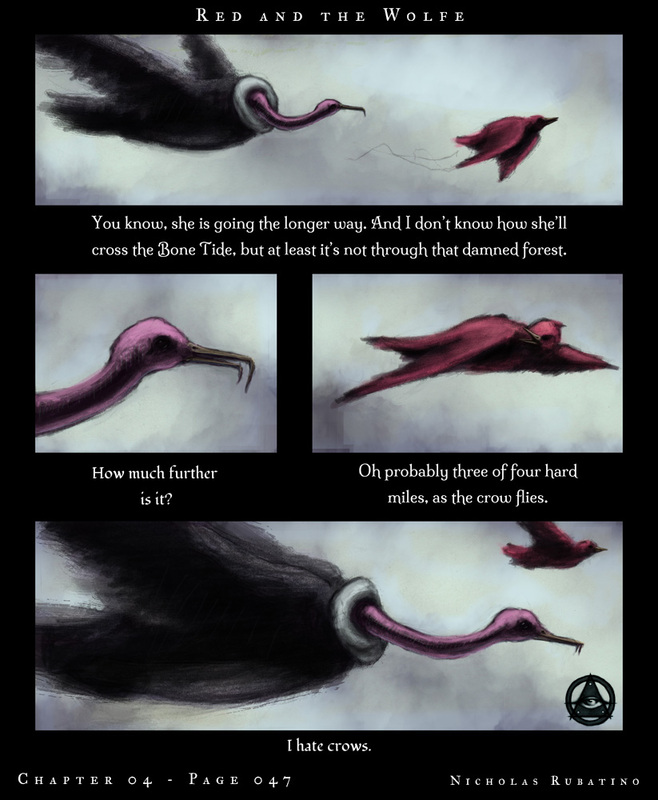 Submitted the prologue to comixology! 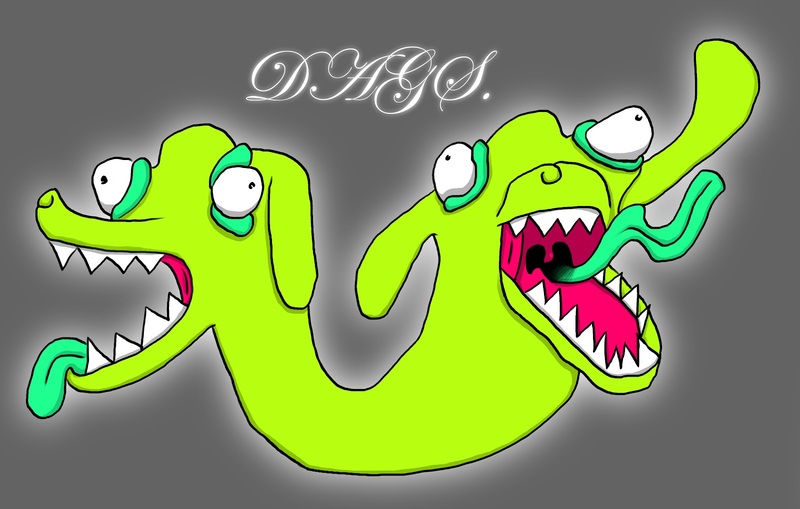 Had to make the above "publisher logo" for my profile on the site. 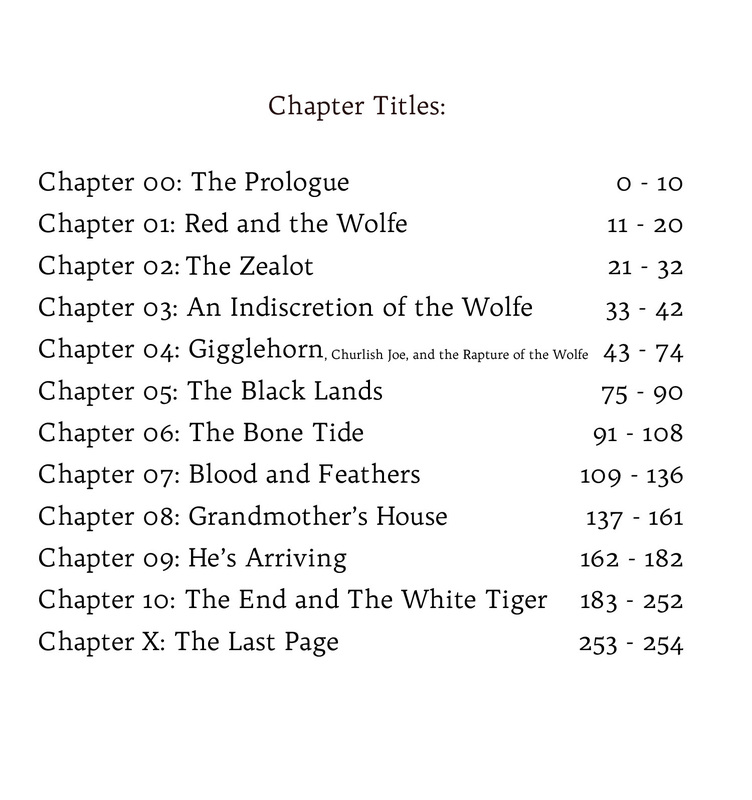 And I've started work on chapter one. 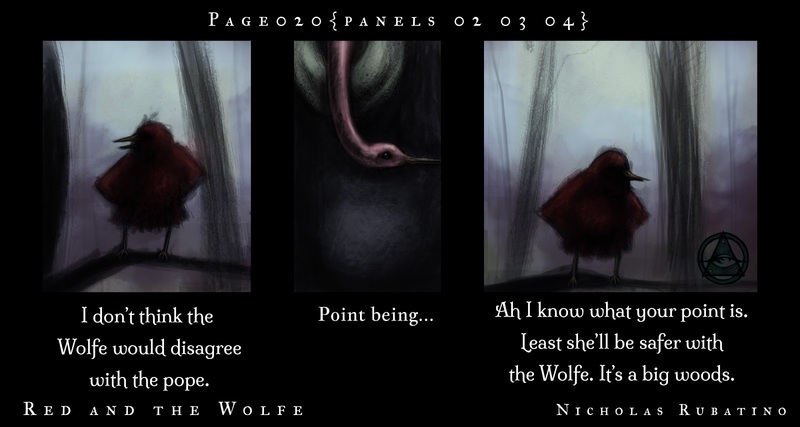 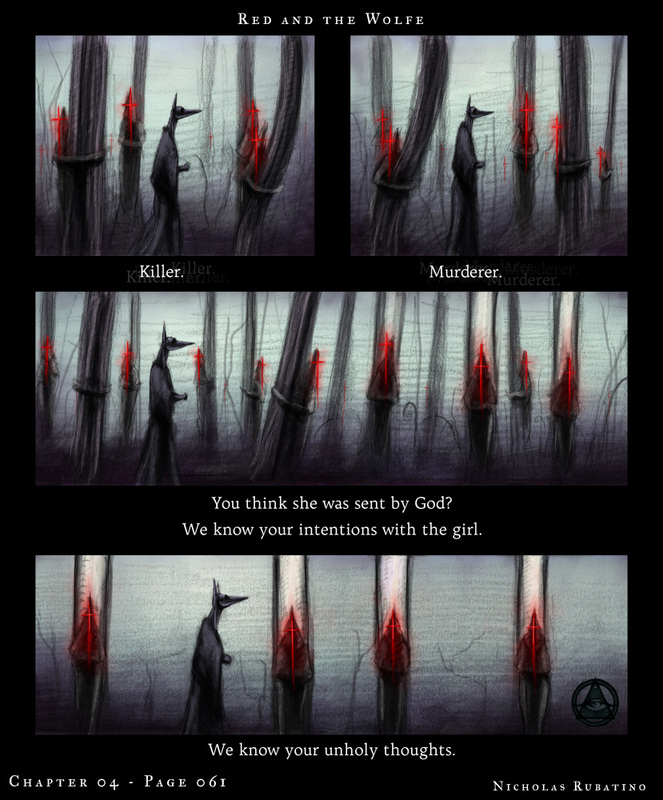 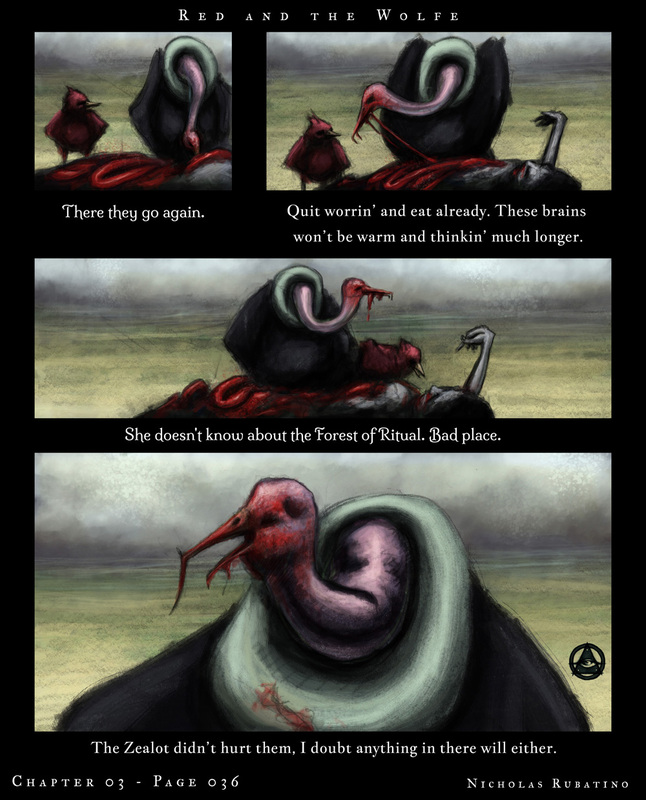 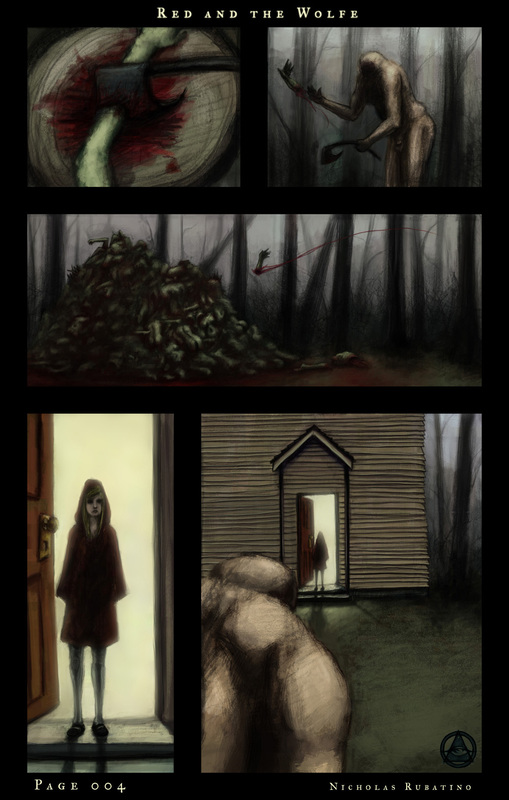 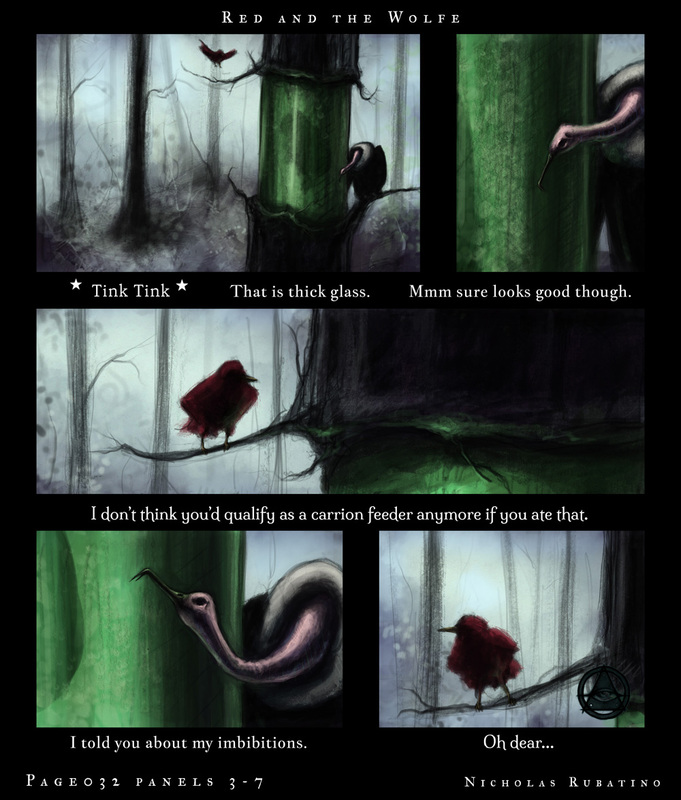 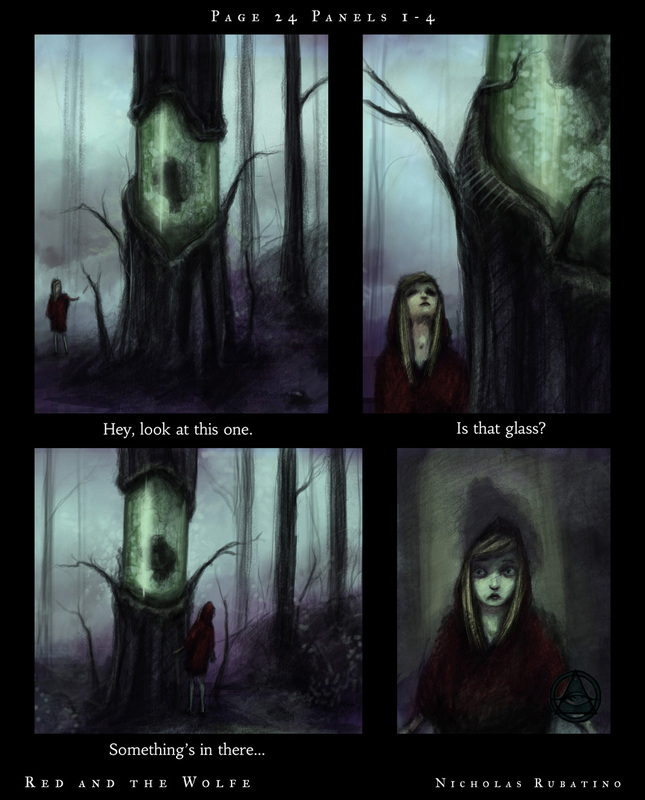 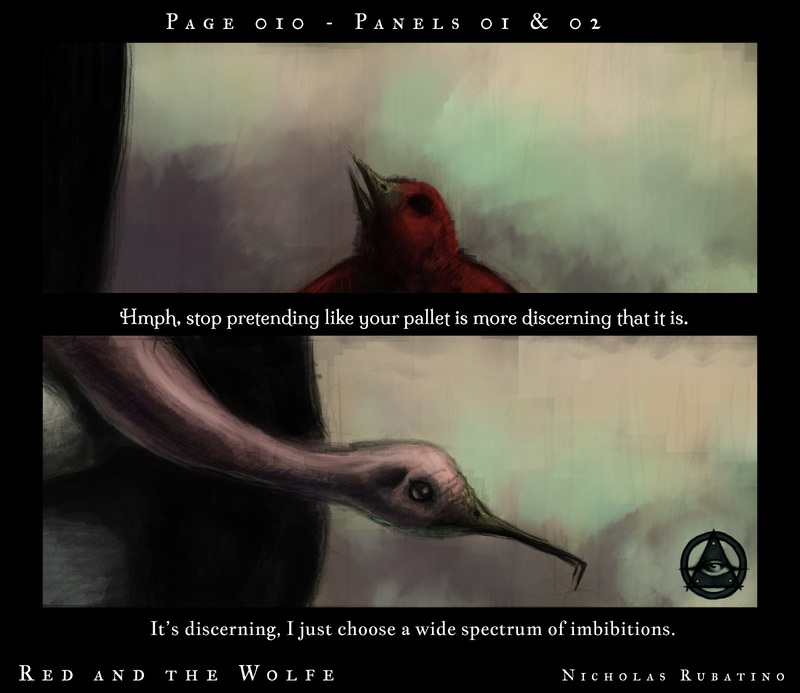 More random panels from my progress in painting Red and the Wolfe. 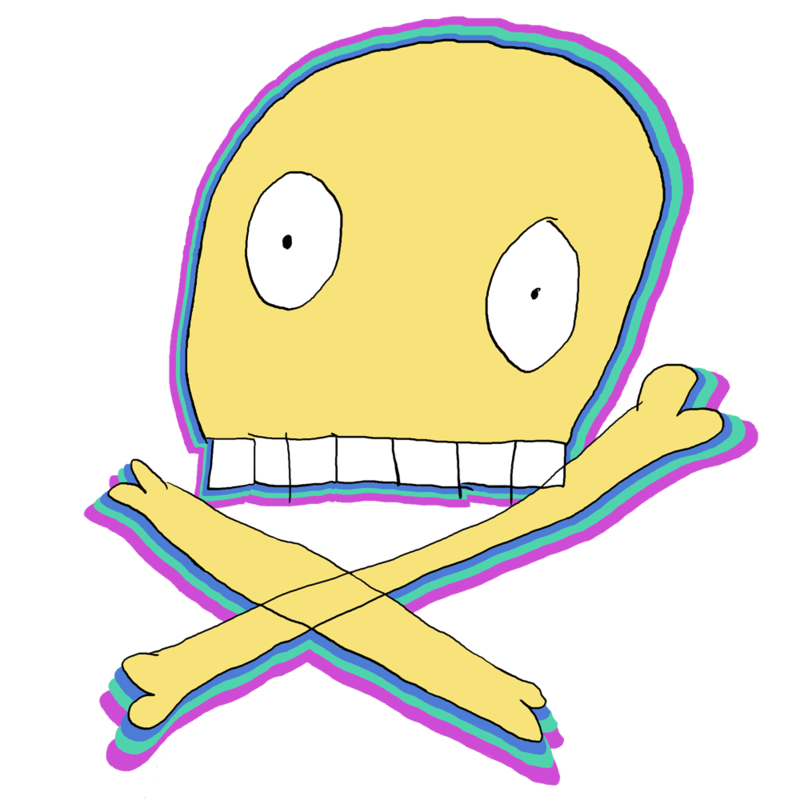 My 5 year old niece designed this skull and cross bones. 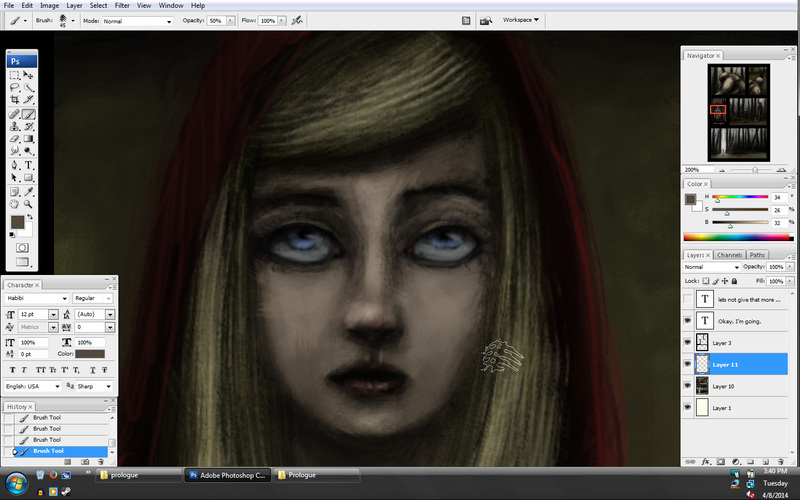 That's all her line drawing, I just coloured it in.